Jonkheer John Loudon Tichborne Dole, Tichborne, Hampshire. The Tichborne Dole. Tichborne, Hampshire 1974. 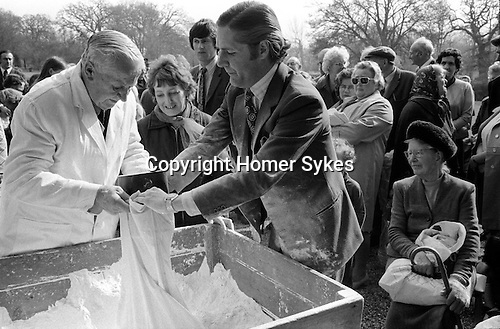 The annual dole of flour, is first blessed on the steps of the house by the family priest on Lady Day, 25 March, and then distributed by Mr Jonkheer John Loudon and a family retainer.